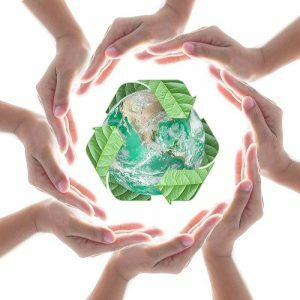 During the last decade, more and more companies have begun implementing eco-friendly best practices in their business, and there are plenty of reasons why. Increase in Customers: Companies who proactively share their story of converting to an eco-friendly office attract more customers who are more likely to become loyal to your business. Simplified Recycling: More and more shredders are partnering with recycling providers who can take the paper directly from the shredder and begin the process of recycling. This makes the process simple and eco-friendly. Tax Credits: Often overlooked, companies that utilize environmentally friendly business practices are able to file for tax credits that can enhance their bottom lines. Interested in the benefits we listed above? If so, implementing eco-friendly best practices in your office space can easily be done. We recommend implementing the following in your business to promote an environmentally friendly work environment for your customers and employees. Set up Secure Shredding Stations: When you sign up for a mobile shredding service, your office will be equipped with secure shredding bins. These bins collect paper over time and are recycled after being shredded by a mobile shredding company. Implement a “Shred-All” Policy: Shred-all policies include shredding any document when it reaches its expiry date. This way, you never have to worry about which documents need to be shredded securely, thus reducing your risk of a data breach. In addition, all of your shredded paper will be recycled. Go Paperless: The easiest way to reduce your paper consumption is to simply eliminate it all! Start small and go big when becoming paperless. Start with making your newsletters electronic, then build up to converting all your paper files to electronic ones. Start a Computer “Shut-Down” Policy: Earth 911 recommends implementing a policy where all computers are fully shut down at the end of the day. This helps reduce your energy consumption while everyone is home and away from work. Get an Energy Audit: Forbes recommends all companies invest in receiving an energy audit to find out what small changes around your office or home can be made to save more energy. Start a mobile shredding program. Paper continues to take up 41% of all U.S. landfills. Your office can stop this by signing up for a mobile shredding service—keeping your paper out of landfills and putting it into recycling centers in a secure manner. Call us at (800) 747-3365 or fill out the form on the page to receive free quotes for a mobile shredding service near you.